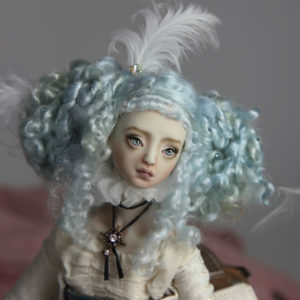 From our 14.5″ Fine Art BJD Doll Collection. One of a kind premium soft removable brushed and styled magnet wig . As all of our dolls will arrive with a hand made cushioned luxury box.